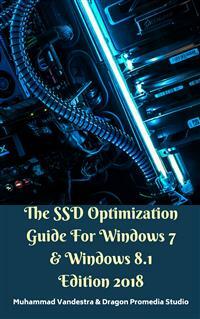 SSD Tweaking & Optimization Guide For Windows 7, Windows 8.1 & Windows 10. Panduan mentweaking dan meningkatkan performa SSD untuk sistem operasi Windows 7 & Windows 10 bagi pemula dalam bahasa inggris. SSD Optimizations are conducted to improve performance, increase SSD capacity and to increase write endurance. They all help to strengthen PC system stability. Most of us will never see the ‘end life’ of our SSD so write endurance is not so crucial, however, we just love the feeling of having a solid system that has been fine tuned for increased performance and capacity. Throughout this Guide, we will put forward optimizations, in an order that we would follow, explaining the purpose of each and highlighting the main reasoning for that tweak, be it to increase performance, capacity or write endurance.